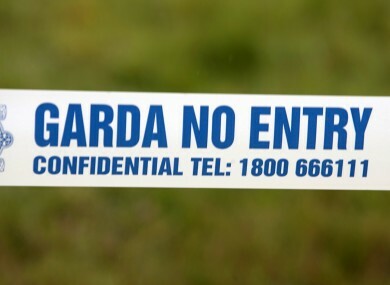 A MAN HAS escaped from garda custody after being refused bail on a charge of escaping garda custody. Jonathon McCarthy (26) quickly crept passed his wife, who sat in the public seating area of Limerick District Court, opened the door of the courtroom, and ran to freedom. Sources said McCarthy, (26), quickly “snuck” from the accused persons holding area towards the exit door. The courtroom door gave “a loud bang” and gardai gave chase on foot. Gardai pursued McCarthy into Merchants Quay, however he remains on the run after officers could not find any trace of him. McCarthy, of Quarry Road, Thomondgate, was appearing in court charged with escaping from garda custody at Henry Street Garda Station on December 2, last. During a bail application, moments before McCarthy fled the court, gardai had objected to bail on the grounds that they believed he was a flight risk. McCarthy’s solicitor Sarah Ryan applied for bail, however this was refused by judge Mary Larkin. McCarthy was refused bail for the same offence last December, after similar garda objections. After McCarthy was remanded in custody to 16 May he made his way from the custody holding area, which is separated from the main body of the court by a glass panelled partition, towards the exit door and fled. Gardaí have sent out a city-wide alert for McCarthy’s arrest. “He grabbed the door and he was gone,” they added. Email “'It was like a Houdini act': Man escapes from custody after being refused bail for escaping custody”. Feedback on “'It was like a Houdini act': Man escapes from custody after being refused bail for escaping custody”.